Can you imagine being in a tropical location, diving in crystal clear waters, surrounded by brightly colored coral and fish? You and your buddy put on your dive equipment to enter the water and explore the abundance of marine life — all the while hovering weightlessly underwater. Or, you could be exploring a new shipwreck off the coast of a small island, out in the middle of the ocean – where conditions are challenging. You’re ready for anything because you’ve invested in the right training and have gained valuable hands-on experience. Is being prepared for worth it? You bet! One of the first things a diver learns is that there are many exciting dive environments that can be enjoyed under the right conditions and with the appropriate training. To help guide you in the right direction, we have PADI programs offered by Boracay Adventures Inc.
Boracay Adventures Inc. is managed by Master Peter Tay, a PADI Master Instructor & TDI Advanced Trimix Instructor with over 25years of diving experiences. He has logged more than 15000 dives with over 25 diving specialties. He is able to teach in English, Mandarin & Cantonese. He has received numerous awards for Outstanding Customer Services & also received Letter of Commendation for Excellent Scuba Instructions. He is a Emergency First Response Instructor Trainer and an Emergency Medical Technician with the knowledge of operating a Recompression Chamber. It is indeed more fun in the Philippines but it is even more fun in Boracay island! 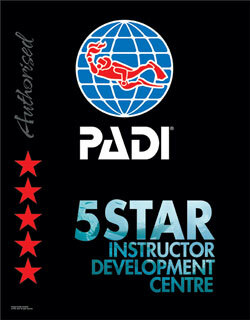 Become a diver with Boracay Adventures Inc. or continue your education in the hands of our Master. Our company is incorporated with Sea Gaia Dive Center and for Professional Courses, we work in collaboration with Calypso Dive Center.